It’s Book Week and we are celebrating here at Babyology with our favourite storybook finds. These gorgeous literature-themed baby mobiles are downright droolworthy for bookworms like myself. Story time with my boys is far and away my favourite time of day. Sleepy eyes, clean and cuddly, it is one of the few moments in the day when they are still long enough for me to hold them close, and I just love being able to fill their minds with classic tales of imagination and wonder before they drift off to dreamland. 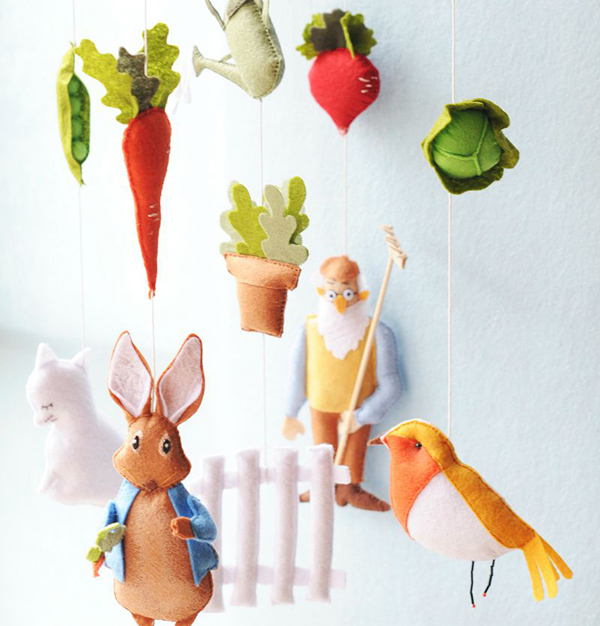 Now you can bring the characters from your favourite childhood stories to life in a beautifully designed, hand-made mobile from Etsy store, A Continual Lullaby. Peter Rabbit, Charlotte’s Web, Little Red Riding Hood, Rosie’s Walk, Madeline and Where the Wild Things Are are some of the classic children’s stories that have been masterfully presented in the form of a mobile. I can just imagine little minds ticking over as they watch the story characters dance around the mobile. Each mobile is crafted with instantly recognisable characters that are based on original drawings from the stories. Handcut, handsewn and handpainted, they have been made with extensive detail and care to become a treasured keepsake or collectible. Perfect when hung from a ceiling hook or crib arm adaptor, just be sure to keep them in a place where little ones can look but not touch. 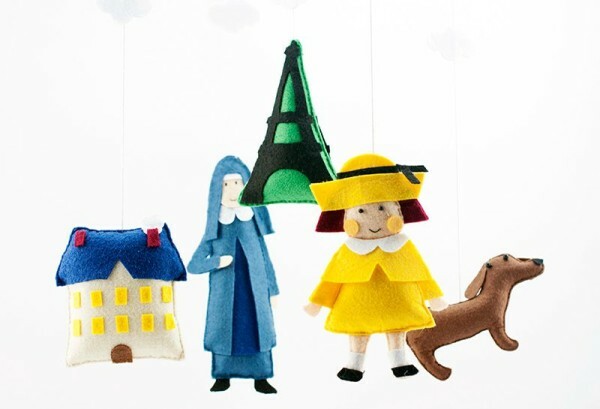 Priced from $154 and ranging up to $322, these adorable mobiles ship from the US. See the whole collection of storytelling mobiles plus many more at Etsy store, A Continual Lullaby.